Are you ready to widen your French vocabulary with the most common French verbs? 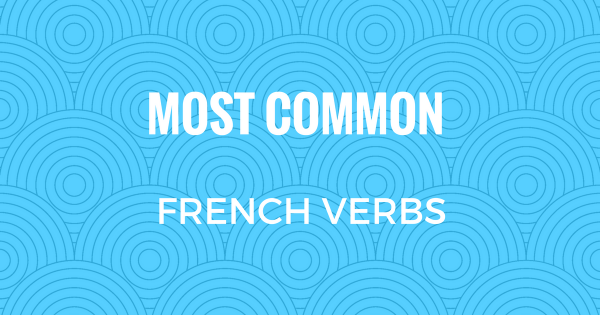 Check out this list of 200 common French verbs with their corresponding English translation. You can bookmark this handy guide or print the PDF copy for easy reference. No need to memorize everything though, if you don't want to. With enough exposure to French especially through reading, soon enough the words will just come to you quite easily. If you sign up to the newsletter, you'll get a more extended list available in PDF format. You will not only get my weekly newsletter upon sign up, but also a French learning package containing tons of FREE resources including the PDF for this list and so much more. Check out: French Verb Conjugation Quiz---How Many Can You Answer Correctly? Now let's proceed to the list! Be sure to start practicing these words with our Ultimate French Pronunciation Guide! Of course, conjugation is another thing you'll have to work on. You know what will help you learn French verb conjugations effortlessly? With French Verb Drills, you'll be able to learn how to conjugate French verbs without memorizing anything. The drills cover just the most commonly used French verbs, but it will help you learn 80% of all French verbs through the verb endings.